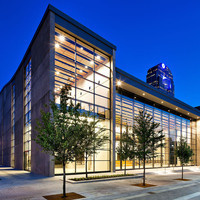 A gala performance at a stunning venue in the heart of Dallas’ Arts District. This concert features performances from the University Chorale, the Piano Division, the A&M-Commerce Brass Ensemble and the Wind Ensemble, featuring Dr. Brian Zator on the marimba. The evening will also feature a performance of guest composer Jim Stephenson’s award-winning Symphony No. 2 (Voices).